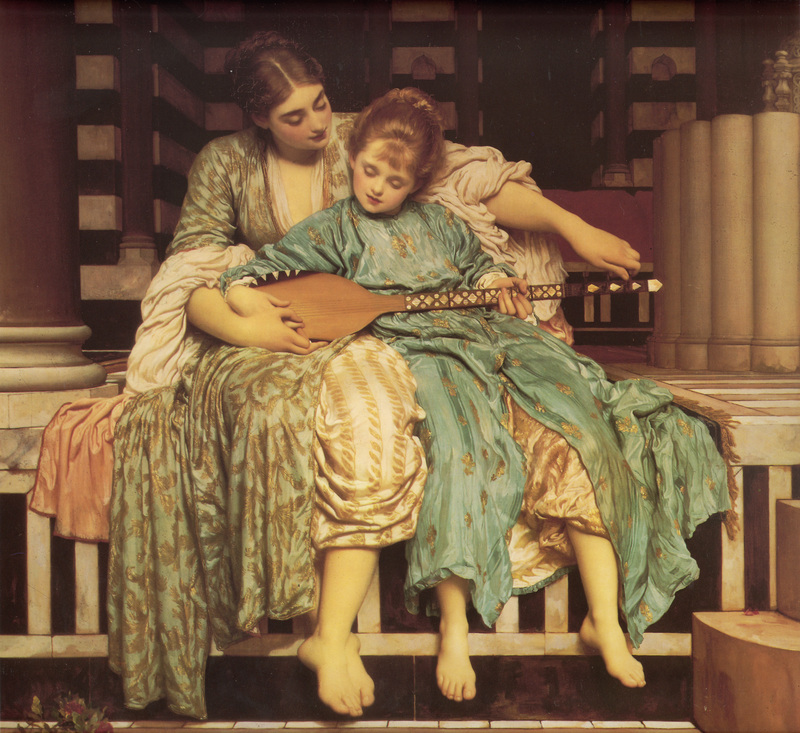 British artist Lord Frederic Leighton (1830 – 1896) completed this oil on canvas circa 1877 in the United Kingdom. It measures 92.8 x 118.1 cm (36.54″ x 46½”) and is held in the Guildhall Art Gallery, London, United Kingdom. Posted in Artwork, Big Picture | tagged art, children, fine art, mother and child, motherhood, music, music lesson, oil on canvas, paintings. The permalink.